This is a very quick DIY I did on the weekend. My messy boxes full of sewing supplies had been bothering me for quite a while. Normally I use plastic organising containers or empty cookie boxes, but buying containers can be quite expensive when you need a lot of them and I never find things after I put them in cookie boxes. I just have too many of them. This DIY was inspired by a friend who sent me a picture of a craft/sewing room at IKEA Berlin. They had thread sorted in jars by colour. I liked the idea a lot – it looks so much better than plastic containers, is see-through (which is great for finding stuff!) and inexpensive. I still had some chalkboard paint spray left from my previous chalkboard DIYs that I wanted to use for a weekend project. 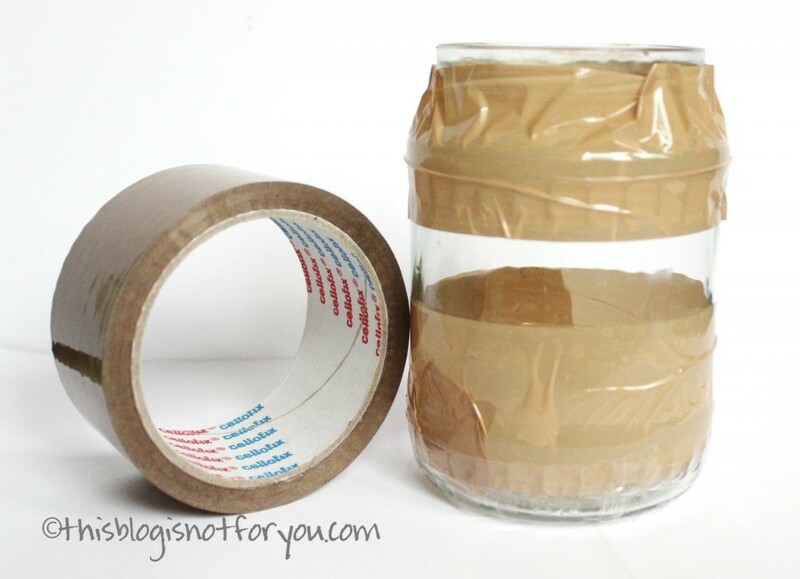 It’s super simple, quick, decorative and inexpensive – sounds good? 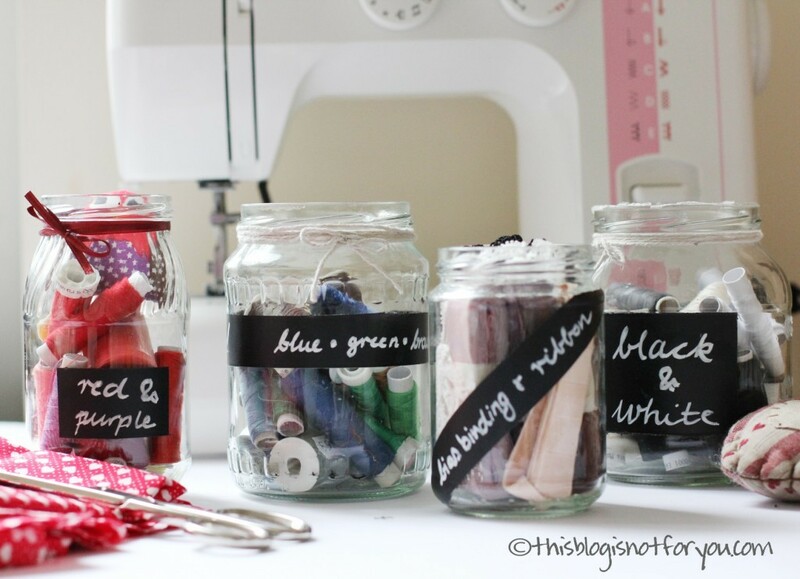 I covered the jars with tape and left out the different shapes for the labels. I sprayed it with chalkboard paint spray (2 coats) which only takes a few minutes. I let it dry for a few hours – just to be on the safe side (you don’t want to have fingerprints on it, do you?). You can spray the lids as well, if you want to. I removed the tape (carefully!) 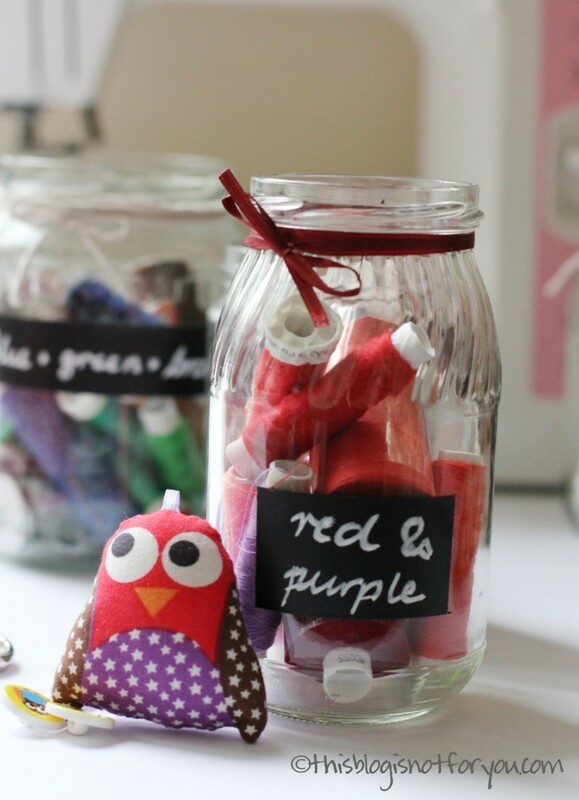 and labelled the jars with wet-erase liquid chalk marker. 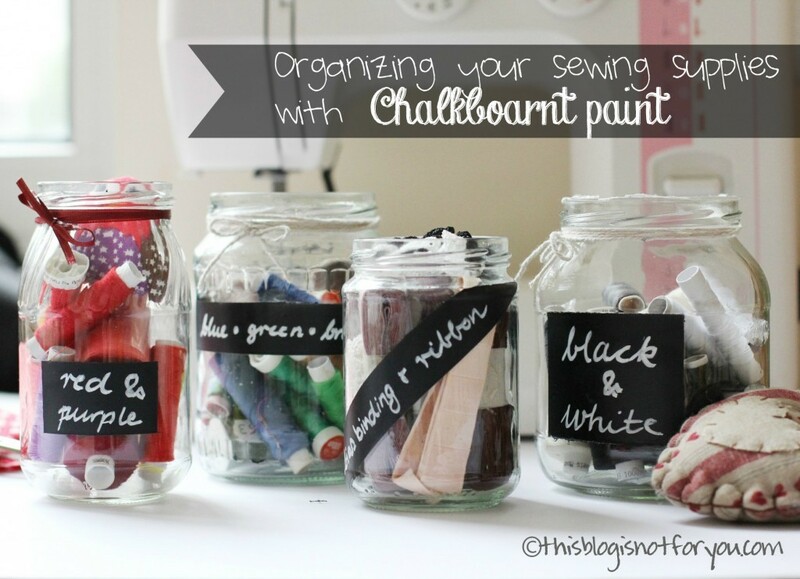 Tip: You can make corrections to the chalkboard paint using cotton buds and nail polish remover. Will that work on plastic shoe boxes you think? by a hurricane’s storm surge when living in Florida. I love this idea. Post it notes or address labels eventually fall off. That’s cute! I love mason jars. I also love your header! Thanks, Amy! Mason jars are grrrreat, they’re so incredibly versatile. Hi! Stopping by from the PP Party! 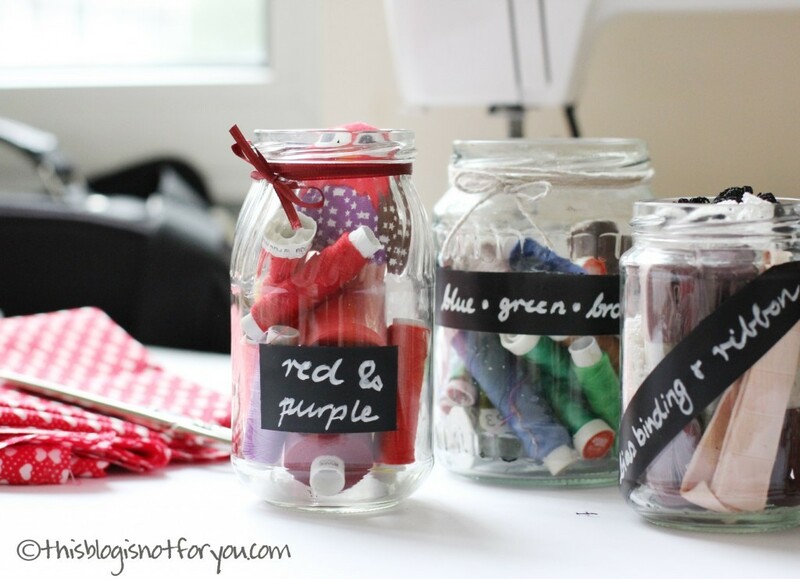 Pinning this because the only thing I love better than mason jars is organizing! Nice job! This is a great project! Thanks so much for sharing the fabulous tutorial. Love this organization idea! 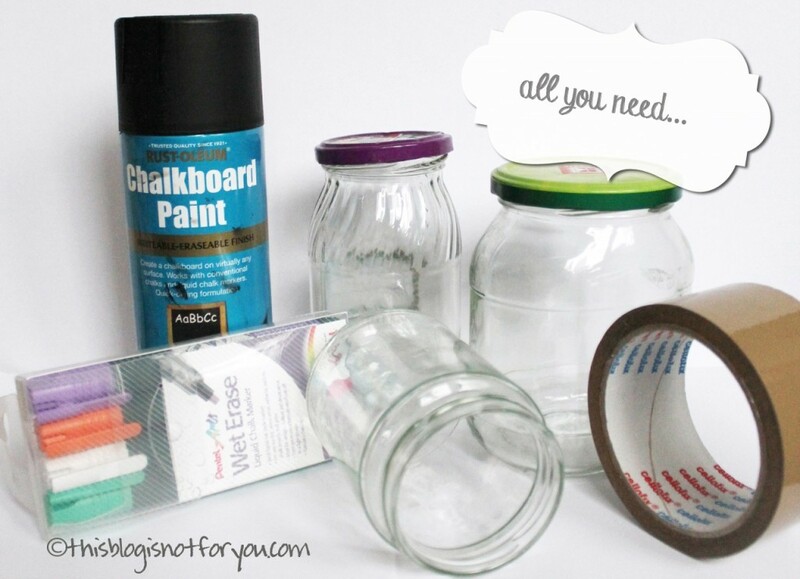 These jars would be perfect on my chalkboard dresser! Thanks for sharing at Time To Sparkle!